What happens when you start over…begin again. Nobody likes starting over. Sometimes life’s situation forces you to whether you want to or not. There are those of us who love the thrill and excitement of a new adventure and throw ourselves right in to a new beginning. But it is hard, really hard, and scary. This is why so many of us stay in a job we hate, and unhealthy relationships. It is easier than staring over. But starting over can be so exciting, so liberating, and so rewarding. I would love each and every one of you to consider starting over in something today, learn something new. Begin again. 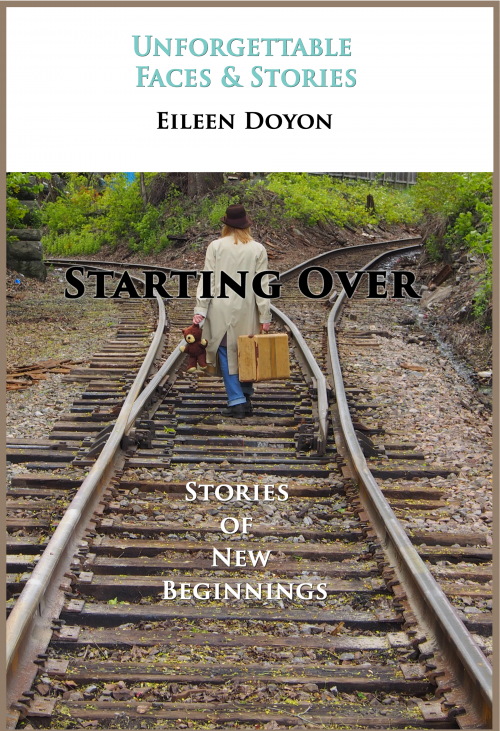 As you read these stories of people starting over, some by their own choice, some not, visualize yourself in an area of your own life about starting over….a new beginning. It will be worth it for you in the long run.